Trachten Cardigan Liz in Green. Traditional Trachten cardigans such as these are still worn with a dirndl and blouse as part of classic German and Austrian dress. But we think it's too good to keep just for special occasions, especially as it works so well for everyday wear too. 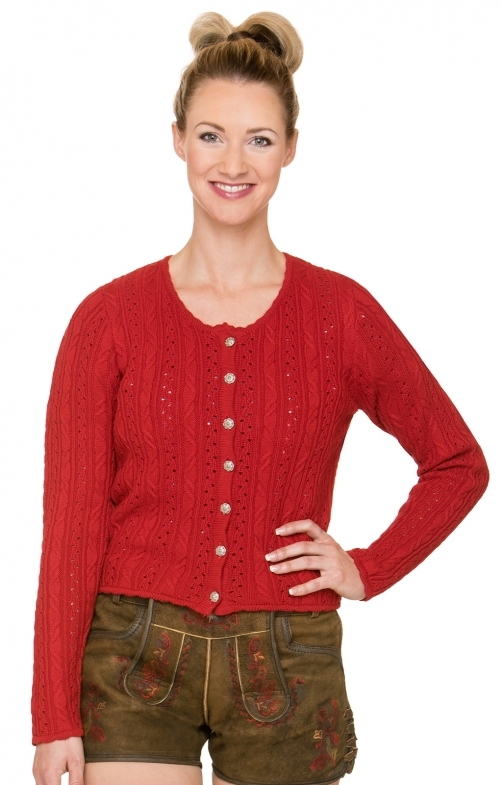 In a pretty apple green, this beautifully styled piece features cable-knit patterns and vintage-style buttons. A distinctive choice from a label with real character, inspired by Bavarian life. Ich bin sehr zufrieden mit der Dirndlstrickjacke. Ich bin sehr zufrieden mit der Dirndlstrickjacke. Die Passform ist perfekt. Sie ist angenehm zu tragen und gut verarbeitet. Prima Preis- Leistungsverhältnis.